After years of frustration at the lack of modern, light, high volume 24" tires that actually packed some traction, Brood Bike Co. has released the tubeless ready Maxtion. The Maxtion has fast rolling center knobs, tall shoulder lugs and foldable Kevalr beads. 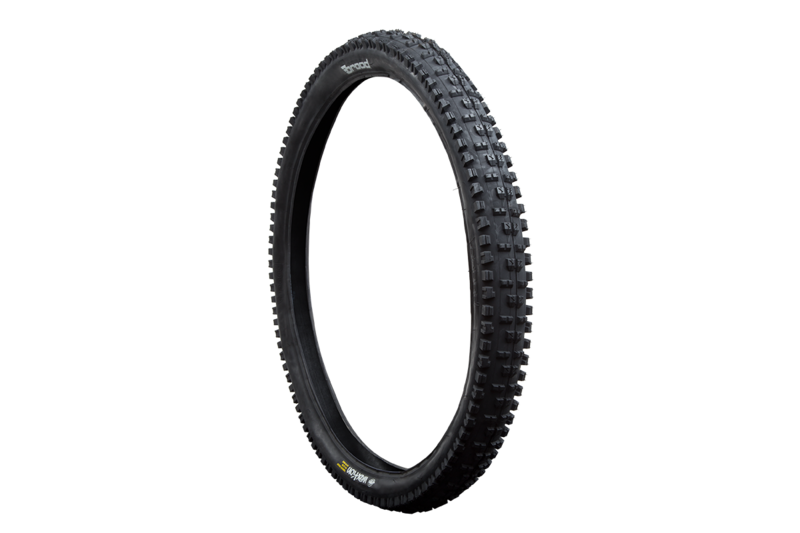 The 24" Maxtion is tubeless ready and super lightweight. This DH version adds two layers of Kevlar to the casing from bead to bead. As in the stuff bulletproof vests are made of! Set these guys up tubeless and increase traction, drop weight and forget about pinch flats or even the sharp rocks hunting for sidewalls!